Discover The Wonders of Our Earth and the forces and life forms that shape our world with the Physical Geography Series. 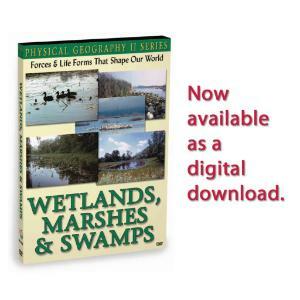 This program explores the watery world of the wetlands. Students learn their origins, the plant and animal life within them and why marshes are important to the food chain and to us. This program brings the Florida Everglades into the classroom, leading students on a tour of the "River of Grass." 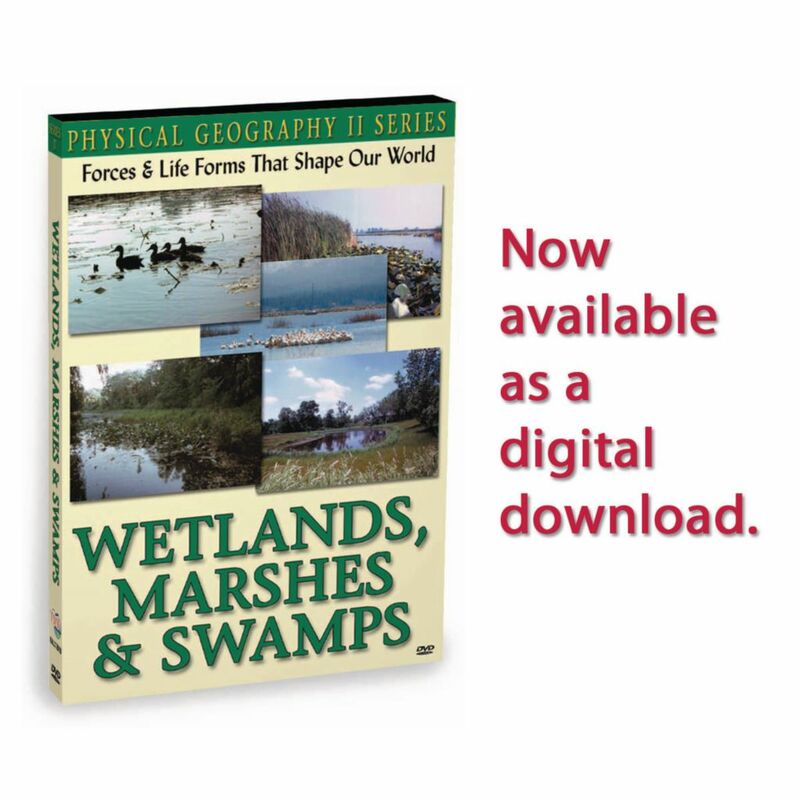 The various types of wetlands, such as bogs and marshes are discussed, as are the many natural habitats they provide. Students will gain a new appreciation for drinking water as they discover the wetlands role in filtering water pollution.